Ultra Gatorskin has set the bar for a perfectly-balanced bike ride. Long-term durability without breaking the bank. 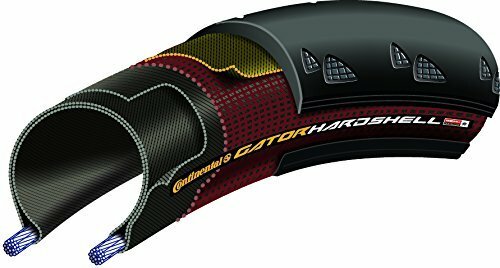 Gator Hardshell delivers! Bead-to-bead protection of DuraSkin, the Hardshell casing wraps further into the sidewall. Extra-wide Ply-X break tread strip improves mileage, and increases puncture resistance.